I just spent a lovely weekend in Atlantic City, celebrating a friend’s birthday. During this time I ran past several casinos, I walked through a casino but, happily, I did not spend any time at all gambling at the casino. I say happily because I am a terrible gambler. The mere thought of gambling fills me with anxiety because I have no idea what I’m doing out there. The only thing I do know is that the odds are stacked against me, more so because I don’t know what I am doing. I never learned how to play poker, beyond yelling “big money, big money” I don’t know the rules of roulette and even when sitting in front of a one-armed bandit, I am pretty sure that I am not quite doing it correctly. The one thing I do know, when I am in a casino, is who to NOT consult for help. The pit manager. Because the allegiance of pit managers is to the casino so I know that helping me win money is not a priority for them. 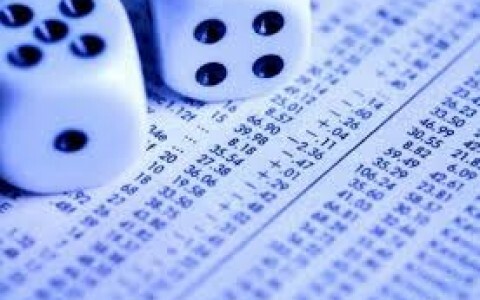 In fact, in order for the pit managers to keep working, we the gamblers need to lose more than we win. This brought to mind an article I read about Philip Ramatlhware who walked into a Philadelphia Citibank branch to open a regular bank account where he could deposit the proceeds from a settlement with Greyhound. He had been injured in a bus accident and received $225,000 and wanted to keep his money safe. All he wanted was a savings account but he was referred to a broker who assured Mr. Ramatlhware, a man with limited English skills and without a college education, that his money was going into “guaranteed” funds. Instead, in less than six months, he lost $40,000. This is not an isolated case. Digging into the archives of the Financial Industry Regulatory Authority (FINRA), which is an independent regulator of security firms doing business with the public, you can find several cases where individuals walked into commercial banks, seeking a safe, FDIC insured place to put their savings and ended up losing money through risky investments that they could not understand. That they could not understand the risky investments was not only because these investments were complex ones but also because the brokers they met with misrepresented the risks involved and was not clear about where the money was going. It is, to a certain extent, understandable that these customers were easily misled – they believed they were going to a commercial bank and not an investment bank. Back in 1933, the Banking Act of 1933 was enacted and it included four provisions that are what is generally meant when people speak of the Glass-Steagall Act. The provisions served to, in essence, separate commercial banking and investment banking. They kept commercial banks from dealing in securities for their customers. The funds that customers deposited into commercial banks, as I mentioned before, were insured by the FDIC and were not to be used for speculation. They were to be considered safe by the banks’ customers. Conversely, risk-taking investment banks were not to take in deposits. So, you may be wondering how, with Glass-Steagall in effect, Mr. Ramtlhware and walked into a commercial bank and ended up investing with an investment bank broker. This is because Glass-Steagall was repealed in 1999, leaving banks able to deal in both commercial and investment banking at the same time. This means that investments that are complicated and very risky and should be reserved for so-called sophisticated investors are being marketed and sold to people who think they are dealing with the relatively safe offerings of a commercial bank, do not fully comprehend what they are getting into and who generally cannot afford to lose the money they end up investing in risky offerings. Is my deposit insured by the FDIC? If I am just depositing money into a risk-free guaranteed account, why does it come with all of this complicated paperwork? Should you find that you have been taken for a ride by your bank, know that you have resources you can turn to in order to have your case heard. FINRA offers advice to investors that probably will not turn you into a sophisticated investor but may go a long to helping you recognize some of the strategies an unscrupulous broker may employ. Also you can take your case to FINRA or, in the case of fraud, the Department of Justice. Though you may believe that you are walking into a commercial bank and dealing with a customer service representative who wants to help you, you should be careful in the banks for sometimes you may come across a pit manager who is trying to make as much money as possible for the investment bank casino.